Home > Special Offers > Dealer > EXCLUSIVE Sorento Offer! 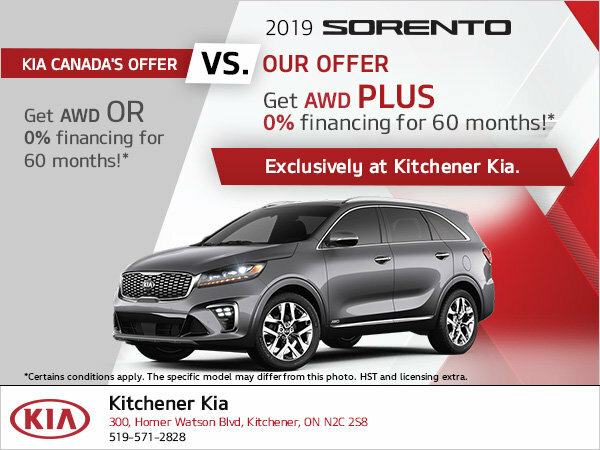 Take advantage of our EXCLUSIVE offer on the 2019 Kia Sorento! Don't miss out on this incredible offer available exclusively at Kitchener Kia!